Mont Blanc (or Mon-buran in Japanese) is extremely popular in Japan that there are cake shops devoted entirely to variations of this dessert. 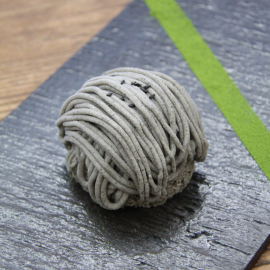 Imported from Japan, this Mont Blanc features Japanese ingredients Kuro Goma or roasted black sesame cream and dough, drawing out black sesame's unique and elegant flavor and aroma. 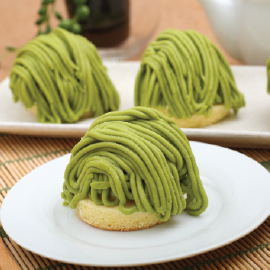 Also available in Uji Matcha flavor.